It's amazing to think that this blog has been in operation for 8 years, even if I have been dwindling down in posts over the years. The most exciting thing to do is see my crafting evolve over the years and how much my blogging style has changed. 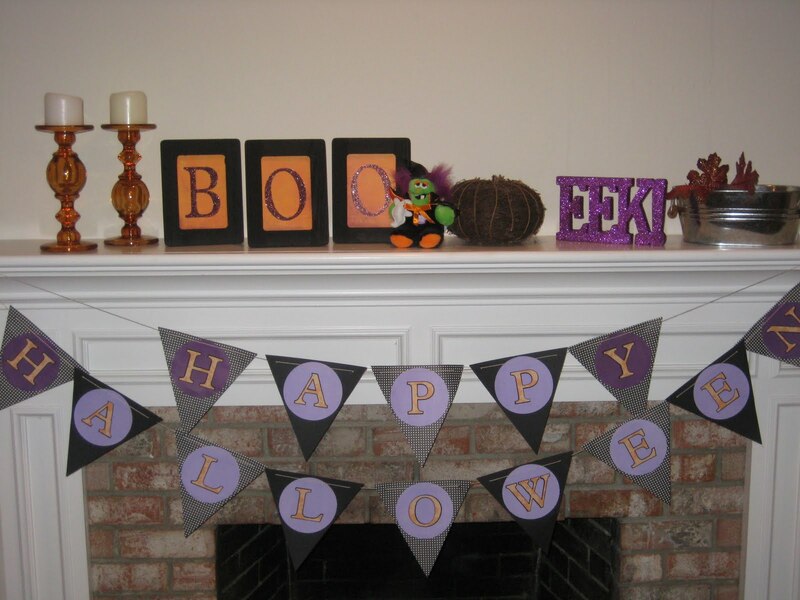 Overall, fall is really the most exciting time to start decorating / crafting because it's the beginning of a festive season: Halloween > Fall > Winter > Christmas > a fresh start with a New Year! 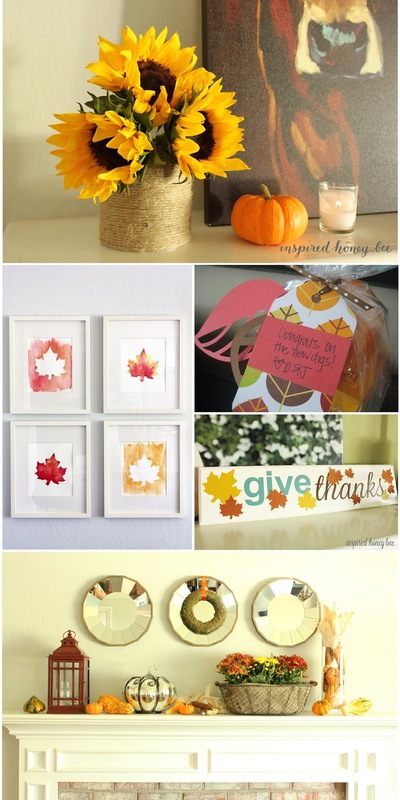 To also get you as excited as I am for cooler weather (and I have a few fun things to share in the coming weeks), I rounded up my favorite fall crafts over the years. 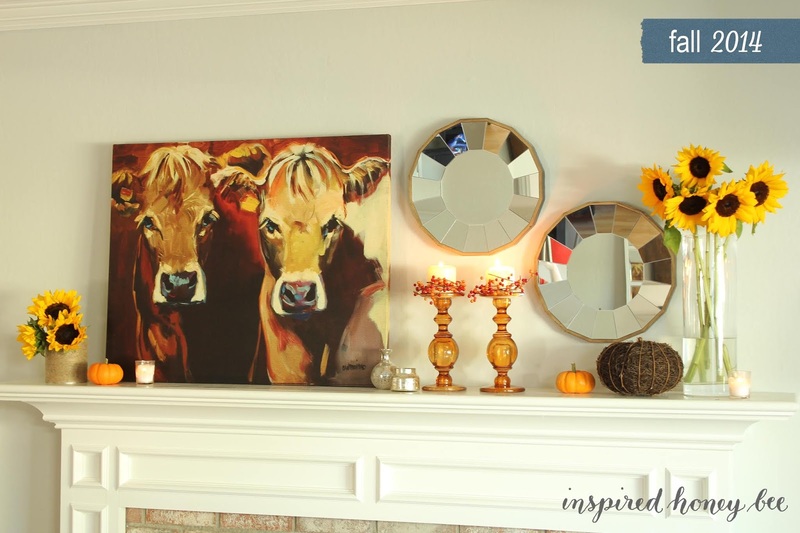 Even if you're not the crafting type, my projects really are easy and can be done in a short time. And you deserve to strengthen that creative muscle. And who can ever forget my first Halloween mantel after buying our house in 2010? Purple, orange and black with a mix of vintage items from a garage sale ... I like to think I've come a long way baby! The dollar bin at Target has been a weakness for all of us at some point, but for crafters during [insert holiday here], it's especially damaging. 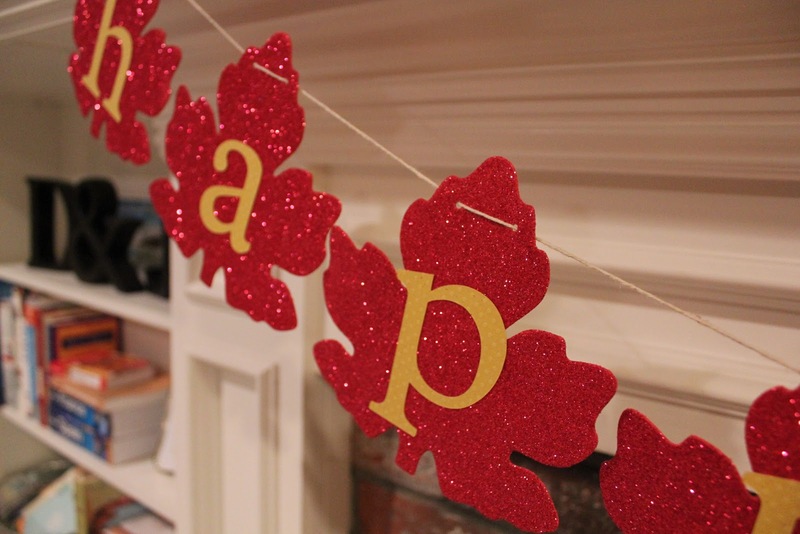 In 2011, I picked up 2 packages of glitter foam leaves for a simple banner. This banner is still in my holiday boxes and I do use it each year in a different way. This is probably one of my favorite projects for fall that easily took me less than 30 minutes. 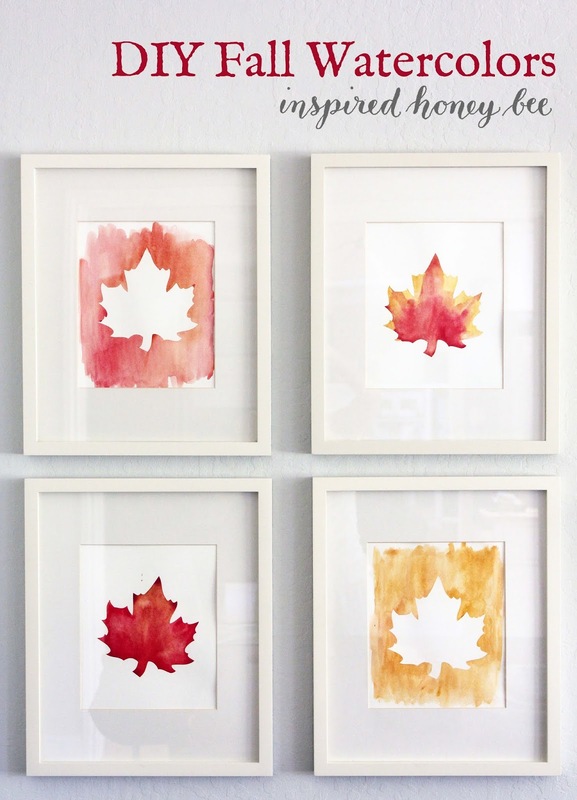 These watercolor prints took a little help from vinyl, watercolor and water. That easy! Ikea is more than just a place to buy inexpensive home items, but also a place for us DIYers to find some broken items and turn them into gold. 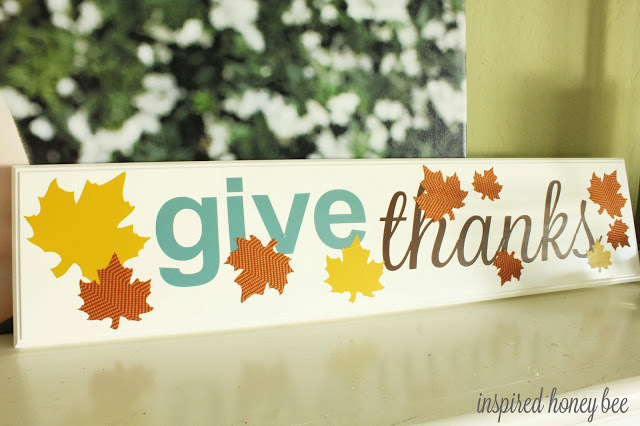 That's exactly what I did with this thankful sign that is still used each year. And then I find one that totally warms my heart, and reminds me that I need to drop off a gift to a new neighbor. 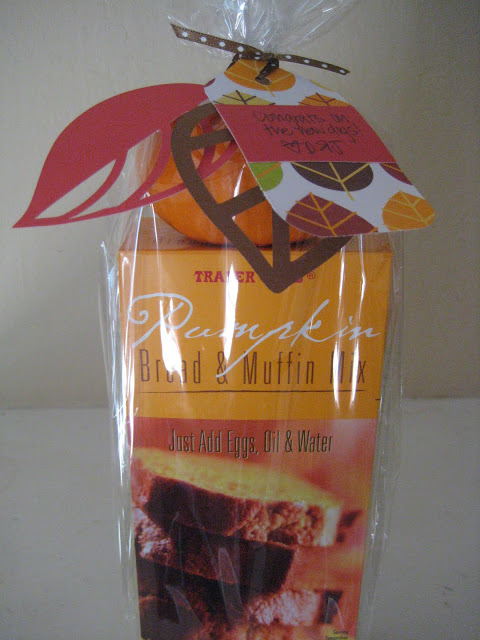 This was simply a box of pumpkin bread mix and a mini pumpkin. It can't get easier than that! It's a little disappointing that I don't share more about my favorite season because I really do quite a bit and love sharing. These are my favorite and if you search 'fall' on this blog, you'll find others that didn't make this final cut, but expect to see more in the coming weeks! !